I’ve recently started using a relatively new product range which I’ve absolutely fallen in love with and I had to share it with you all! The range I’m talking about is Superdrugs own skincare line B is for Beautiful (or B for short). This skincare line is a “complete premium skincare brand, which is cruelty-free, paraben-free and suitable for vegetarians and vegans” . Since being pregnant my skin as been all over the place from oily to dry and I had a real issue with spots in the first trimester, so I was thrilled to find a product that’s completely natural and I felt reassured to know it was safe for use during pregnancy. The range is split into four phases, dependant on your age; Phase 1 is aimed at those aged in your 20’s and 30’s, Phase 2 is aimed at those in their late 30’s to 40’s, Phase 3 is aimed at those into their late 40’s to 50 and Phase 4 is aimed at those who are 50+. So I thought I’d share a few of my favourite products from the line with you. 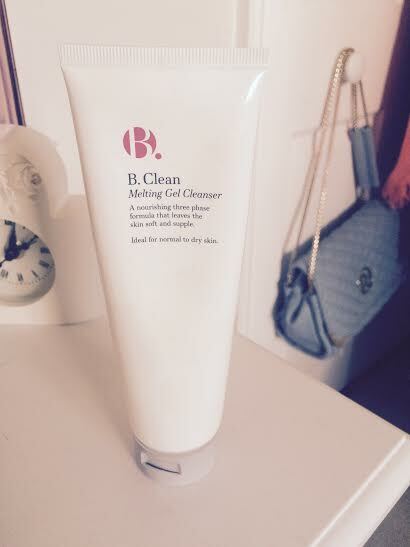 My first must have product is the B Clean Melting Gel Cleanser. I swear this stuff is heaven; I am absolutely obsessed with this. This can be used morning and night, and is probably best used before you refresh your face with the micellar water detailed below. You put the gel straight on to your skin, without adding water, and rub the gel in. I found it gives your skin a really nice warm feeling, not dissimilar to how it feels when you put on a face mask. This product can also remove eye make up really well, so carefully rub it in where needed to remove this. Once this is all rubbed in you need to rinse your face with water and upon doing this the gel turns to a creamy cleanser which removes any dirt, impurities, and make up! I absolutely love the way my skin feels once I’ve used this – it’s really soft and velvety, and it doesn’t have that tight feeling some facial cleansers can give you. Of all the B products this is probably my favourite! 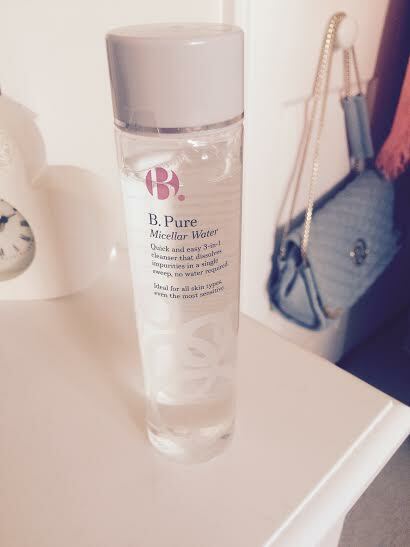 My next must have is the B.Pure Micellar Water. I use this in the morning and at night and it is amazing. It lifts all traces of dirt and make up without feeling harsh; it is really light and cleanses, tones and refreshes all in one and is nice to use after the gel cleanser. I love this as I found it removed hidden traces of make up really well, which some micellar waters struggle with. A little seems to go a long way too so it’s lasting for ages which adds to the excellent value of the product. 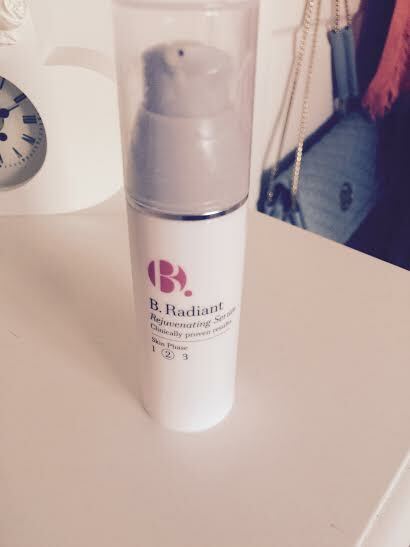 Next up is the B Radiant serum. As you can see from the picture this product is actually from the Phase 2 range which is aimed at those in their late 30’s but I love serums for your face so I thought I’d try it anyway. I’m glad I did as it’s a really nice product. It is lightweight and gives a really nice dewy glow to your skin without leaving it looking oily plus I was very glad of the anti ageing qualities it has too. I use this before I put on make up as a base and it works really well. 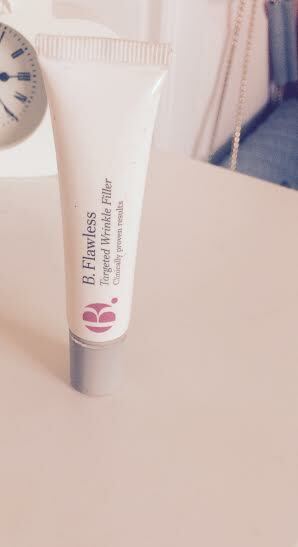 Next is the amazing B.Flawless Targeted Wrinkle Filler! I adore this product. I have awful laughter lines around my eyes and after using this product for a couple of weeks I could really see a difference. I had initially been putting it on before make up but I got given the tip to put it on once I’ve put on foundation and this was a vast improvement for me. I just can’t fault this product – I’ve tried a lot of these collagen wrinkle fillers and they’ve done nothing but this created a vast improvement for me and everything looked a lot smoother! So happy with it. 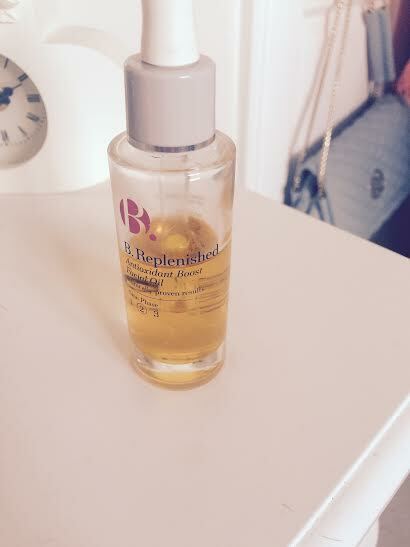 Every other evening I’ve been using this amazing oil; this is the B.Replenished Antioxidant Facial Oil. As it is an oil I don’t use it every night as I don’t want to make my skin greasy and it’s more of a treat when not used every day. This is another product where a little goes a long way. I wasn’t too sure what to expect with this but it is actually a really luxurious product. You only need to use about two drops (it’s dispensed with a pippet) and rub your hands together with this on it to warm it up before massaging it into your face. The oil is packed with antioxidants in the form of Vitamins C and E and gives 12 hour hydration. It has rosehip, argan and crambe seed oil in it which really softens this skin. This is a lovely product and compared to other facial oils out there it is amazing value! 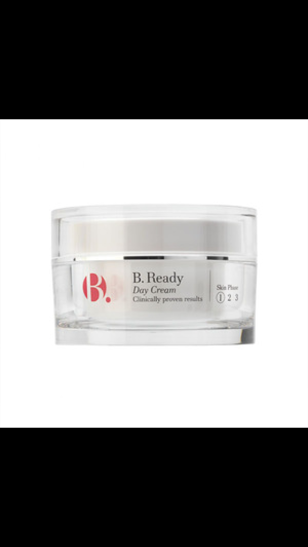 My final daily product from this range is the B.Ready Day Cream. As you can see I don’t have a picture of my own pot of this because I actually used it all up yesterday and I need to go and get some more! But this is a lovely finishing product to your daily skin care routine. The cream is lightweight and can be used after you’ve used the rejuvenating serum described above. Again, it leaves a dewy glow to your skin and also has anti ageing qualities which is always a good thing in my opinion. Along with the serum, it makes an excellent base for make up. I hope this review post has been helpful – please leave any comments below.